After the May 17-19 trip to five BBQ joints in five cities we still had a very important BBQ trip to make. We both had been going to Lockhart off and on throughout our lives but neither of us had been back since Louie Mueller, Snows, Franklin and some of the other recent challengers to the throne. 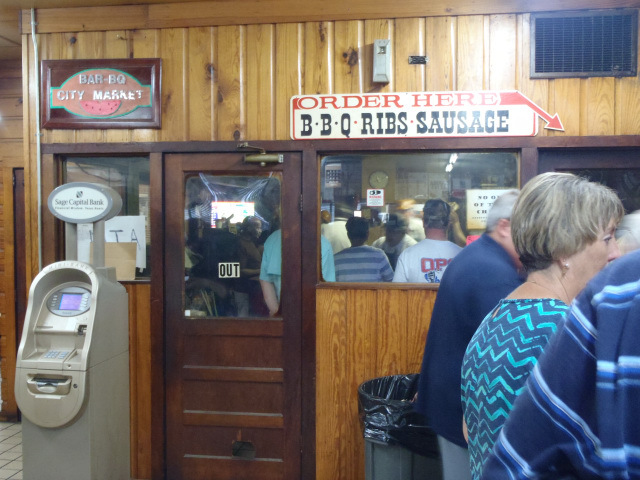 Lockhart historically had two solid establishments; Kreuz and Black’s. In 1978 Chisholm Trail BBQ was launched and provided a different but still valid third choice for BBQ aficionados. In 1999 the Schmidt family had a major split and the original Kreuz (rhymes with “kites”) location was renamed Smitty’s while the Kreuz name would be hoisted atop a new building a half mile down the road. 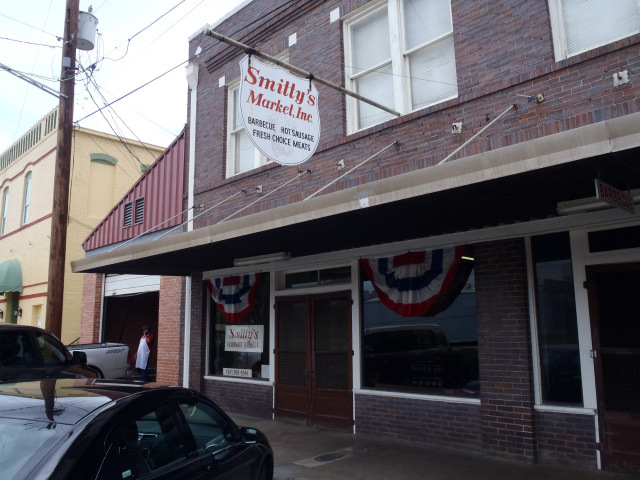 The original Kreuz Market location, which was purchase by Edgar Schmidt (Smitty) in 1948, was renamed “Smittys” in honor of the man while a massive new building for the Kreuz brand was erected just down the street and across the railroad tracks. Descendants of Schmidt are still involved in both businesses. 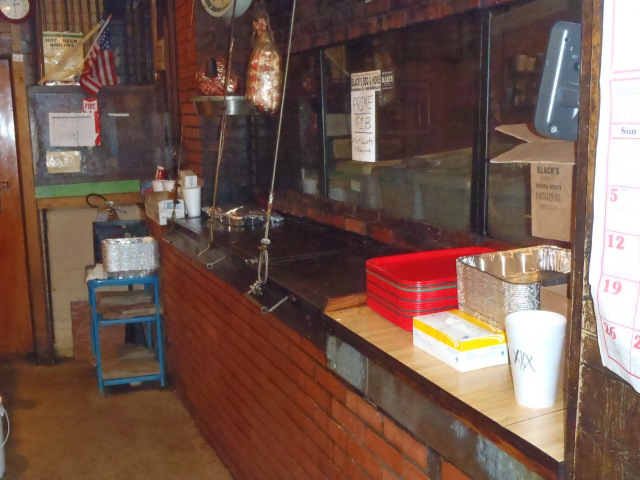 Kreuz and Smitty’s are traditional meat market styled BBQ joints. Before refrigeration the stores selling groceries and fresh meat would have to utilize the unsold meat before it would spoil. The butchers, many of Czech and German decent, would smoke the leftover meat. Customers would purchase the meat and eat it in store. Side dishes and other options like plates and forks weren’t provided. Some folks would buy a loaf of bread, pack of crackers, some cheese and/or pickles as these were available from the store. Over time, the smoked meat business sometimes would outgrow the grocery business and the stores would be transformed into BBQ joints. 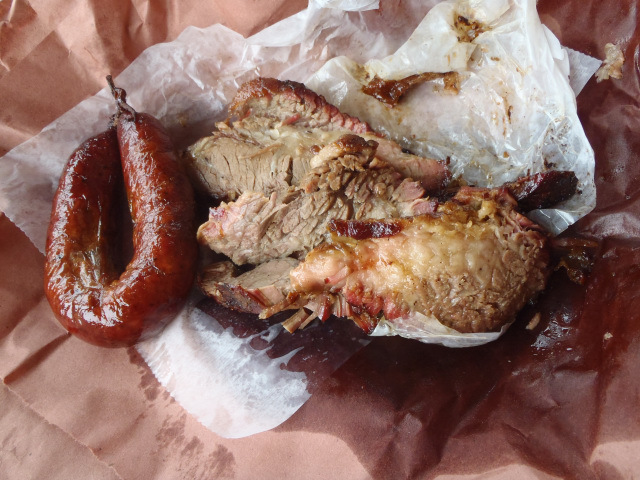 The traditions of the meat being served on butcher paper without forks, simple condiments, and even lack of BBQ sauce all harken back to this origination. Even though Kreuz is in a newer building, the lay out is a tribute to the old ways. Black’s offers a much simpler history. 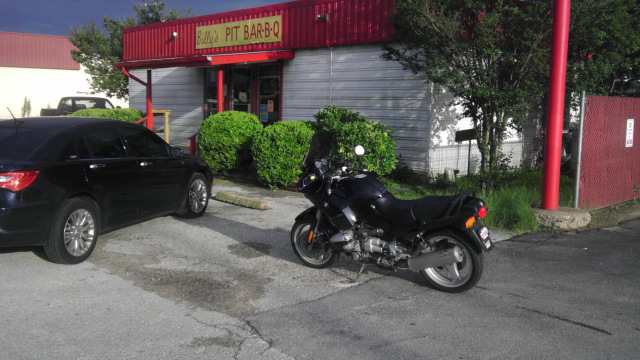 The restaurant and location have been in the same family and location since 1932, churning out great BBQ all along. Chisholm Trail is often overlooked as it has neither a long history nor a large building. 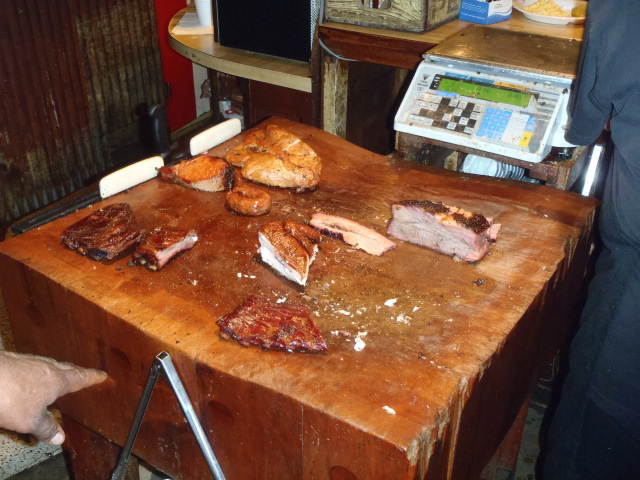 However they also crank out good meat, along with a wide variety of sides and are priced very reasonable. When was the last time you paid 90 cents for a large drink and less than $7 for a two meat BBQ plate with three sides? We did just that on our last visit in May 2013. 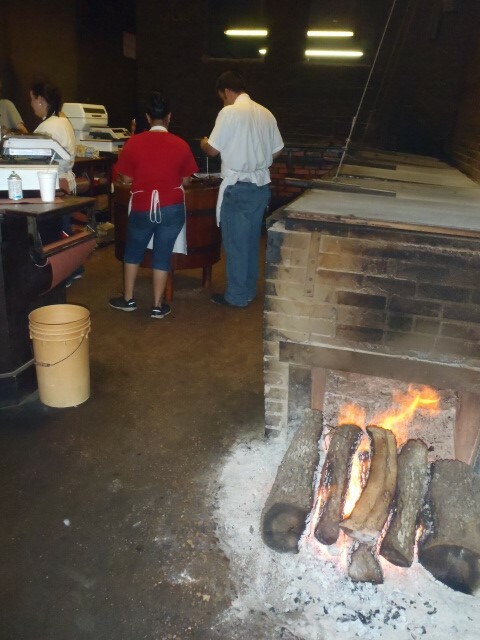 For many years Lockhart was the focal point of honest wood smoked traditional Texas BBQ. 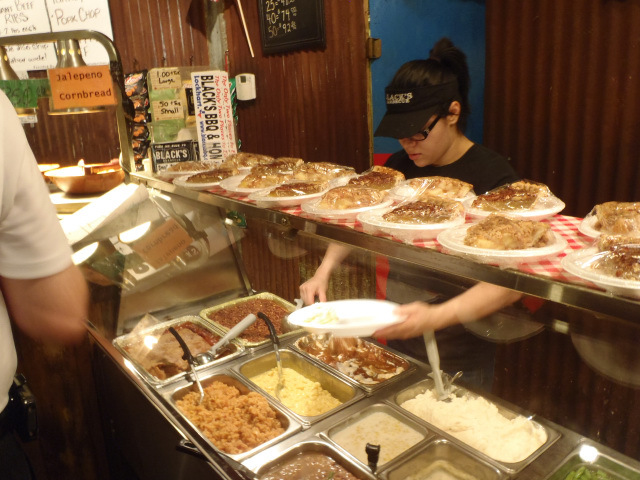 Elsewhere in the state chain BBQ restaurants began to grow, using gas powered ovens to bake meat. To this day Lockhart’s four big establishments continue to draw consistent business but the BBQ fervor and spotlight has shifted to Austin and nearby locations recently. Louie Mueller has been an establishment in Taylor, Texas since 1949 and many of the new Austin joints have direct links back to Louie Mueller. 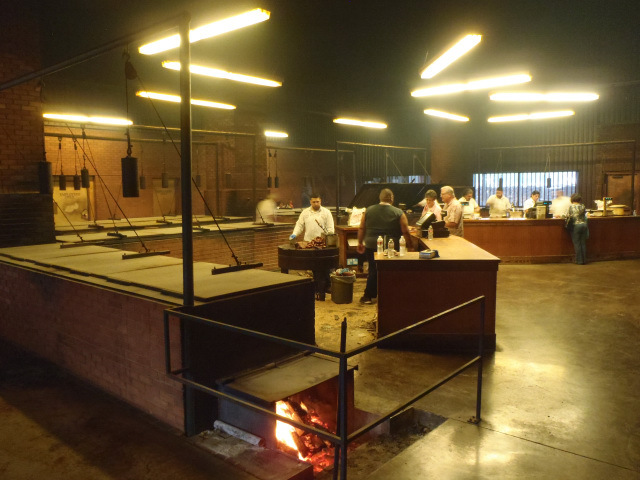 Is Lockhart Really the Capital of BBQ? The real tectonic shift was in the last five years, a blip when compared to the ages of the Lockhart icons. 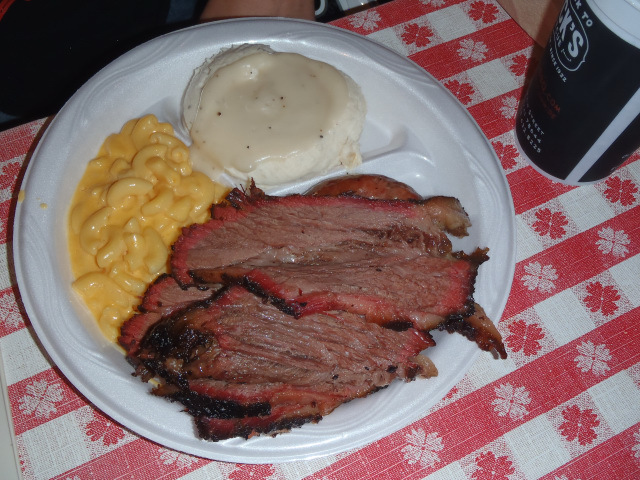 Snow’s in Lexington, Texas took the coveted #1 spot in the 2008 Texas Monthly BBQ rankings. 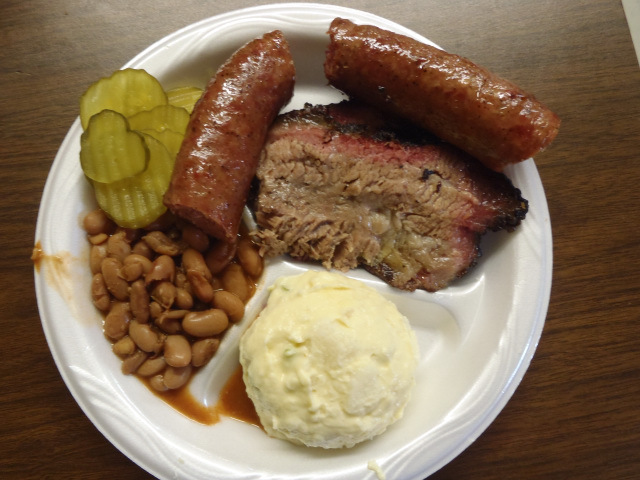 Franklin BBQ in Austin was awarded #1 in 2013. Other top 50 Austin based joints include LA Barbecue, John Mueller, Stiles Switch, and Lamberts. Lamberts is the old place on the block, opening in 2006, while the others have popped up in the last five years. Each of these locations crafts meat the “honest” way, using wood fired smokers which require attention during the entire cooking cycle that can exceed 12 hours. Cooking different types of meats in close proximity to each other means ensuring each is in the proper temperature range and/or moving them around during the cooking process. The pit masters have to arrive hours before sunrise to tend the meat, and it requires dedication to the art that you don’t see in chain operations. Texas Monthly only publishes their often controversial rankings every five or 6 years. For this year’s rankings they rated one as the best, and then 3 others in elite status. The remaining 46 are listed in alphabetical order by city. In 2013 Lockhart restaurants didn’t make the top 4, and Smitty’s wasn’t even included in the top 50! 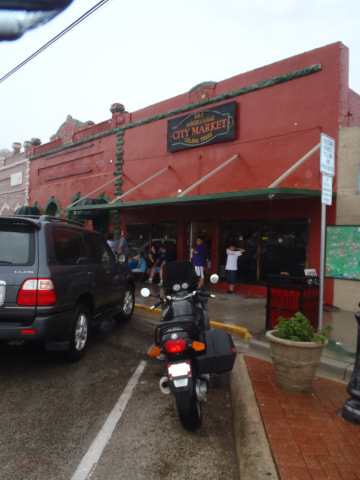 Only 15 miles from Lockhart, City Market in Luling Texas has been rated highly for many years. Don’t confuse this with “Luling City Market” in Houston, which is unrelated and will come up if you are searching the internet. I will only refer to City Market in Luling as “City Market” as I really don’t like how the newer enterprise is leveraging off of the name. City Market doesn’t have a website that I know of; so many seekers are directed back to the other establishment. I do realize there is an unrelated City Market in Giddings, but there is no confusion if I refer to that as Giddings City Market. 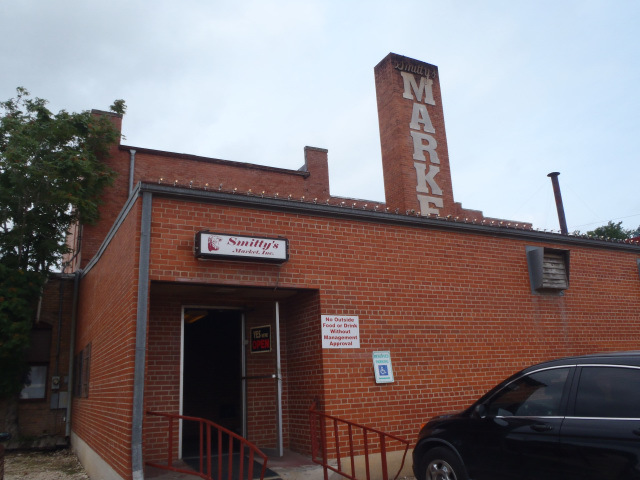 I had never been to City Market but read enough reviews and gotten feedback from reliable sources that I needed to head to Luling to check it out. 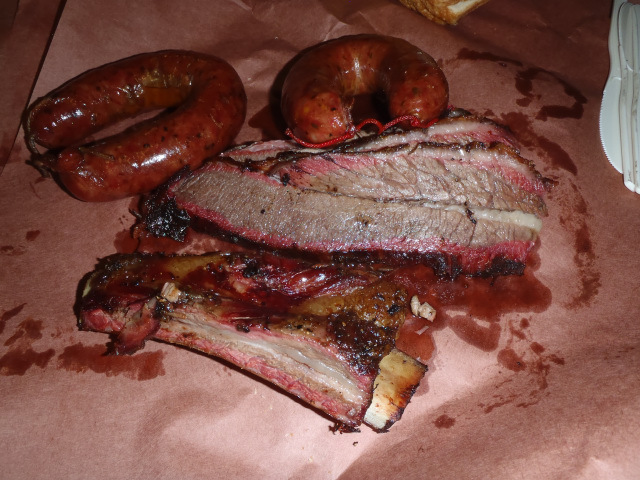 It was time for us to come back to the “Barbecue capital of Texas” and compare to the new king of Texas BBQ according to Texas Monthly and many BBQ lovers. How would the old stand byes stack up against these new joints? For this trip we wanted to take the boys too so the plan would be for me to ride up on the motorcycle solo and head straight to Luling. 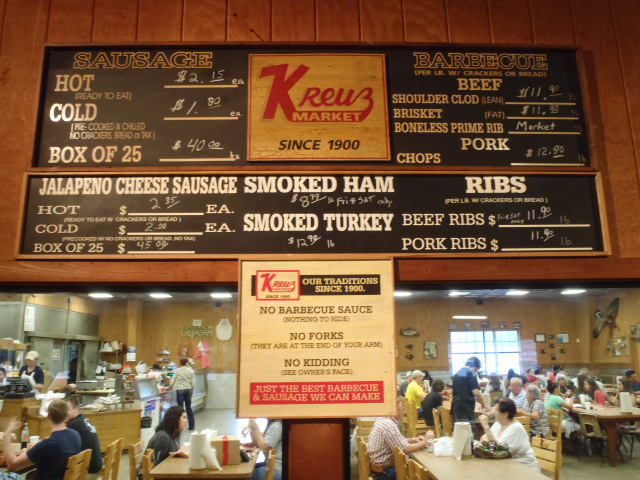 I’d grab some BBQ to go and head to Lockhart, meeting up with the family at Kreuz. 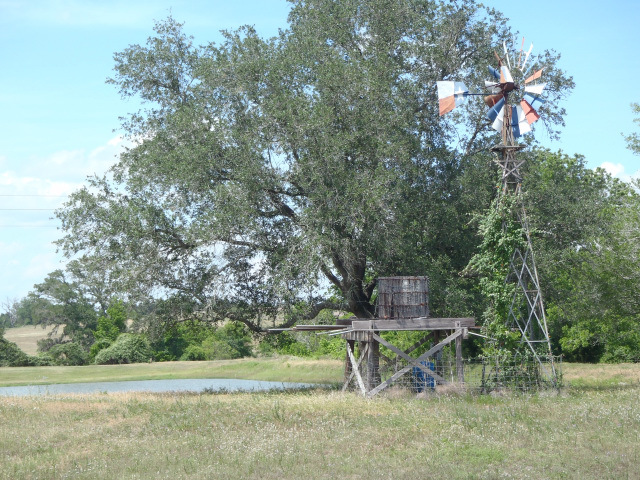 We had booked a hotel in Bastrop for Saturday night which was about 30 miles from Lockhart after reviewing the meager options in Lockhart itself. We would hit City Market, Kreuz, and Chisholm Trail on Saturday and then head to Bastrop for the evening. We would visit Smitty’s and Black’s on Sunday before making our way back home. City Market and Kreuz were not open on Sunday, and logistically it was easier to do City Market on Saturday as well so we our plan shored up. One of the better things about this week versus the previous was that we would not be leaving at the crack of dawn. Leslye and the boys were dropping our dog and cat off for boarding and they didn’t open until 9:30. 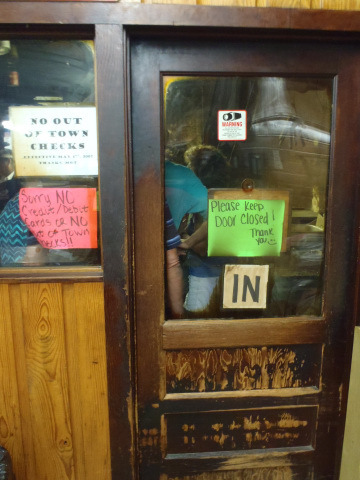 None of the locations in Lockhart sell out or have ridiculous lines so there would be no real urgency to get to any one location. I rolled out just before 9AM to good weather. After the previous weeks’ annoying weather conditions I was much more prepared, or at least I thought. I had purchased a “heat out” skull cap and undershirt from Cycle Gear. These are designed to keep you cool even though they add another layer to your dress. I was not wearing my leather jacket, and I would also leave my waterproof riding boots at home because they were not vented. I didn’t wear them the previous week either and haven’t tried them on a longer ride in the heat yet so I wasn’t really sure if they would be comfortable enough in the hotter weather. Although I followed busier roads up through Giddings I took TX 21 down to Bastrop. This is a nice short ride but a little busier than I prefer. Riding through the pine trees I could see the remnants of the 2011 forest fire there. I noticed many dead trees still standing, although some had succumbed already to wind since the fire. I also caught a couple dressed in wedding clothes, standing amongst those trees with someone taking a photo. It wasn’t clear to me if this was a newlywed couple posing on their future homestead or of there was a more somber story to be told. Around the same time, the roads which had first turned damp were quickly becoming saturated with water. I don’t recall rain being in the forecast, but in Texas it does have a habit of changing. A light mist began to fall and my comfortable ride was about to turn into a wet mess. The rain became more consistent after I passed through Bastrop and onto FM 21. While the road was enjoyable, the rain was not. I pulled over at a random building with an overhang to get out of the rain and check the weather on my phone. While looking up the weather a good-old-boy rolled up in his truck to share the shelter. He let me in on his secret; his wife doesn’t know that he smokes so he stops just short of their house when he heads home so he can sneak one before he gets to his wife. He also mentioned he had a Honda Goldwing “about 11 years ago” and crashed, breaking his leg “about 11 years ago” and that his wife no longer lets him ride a motorcycle. It made me happy that not only does Leslye “let” me ride, but she condones my motorcycle fanaticism and handles my wild hairs and random projects with love. By the time I got to Luling I wasn’t really concerned with the rain any longer as I was soaked in places. I had wrapped myself around the bike as much as I could, with my stomach lying directly on the gas tank, and my torso was fairly dry but my legs, feet, and arms were dripping wet. I stepped off the bike and walked into City Market right around noon. I was happy to be out of the rain for a bit. City Market’s meat market is in the back of the facility in the smokehouse. The doors between it and the rest of the building are closed between patrons, but large glass windows provide a view of the activities on the other side and the smoke flows out each time the door swings open. There was a line of about 25 people when I arrived but it moved relatively quickly. There were multiple meat cutters making quick work of the requests. Before long it was my turn to enter the smoker room and place my order. The smoker room is a room within a room, with doors that they ask to keep closed as much as possible. City Market uses flat top rectangular pits similar to the Lockhart joints, as opposed to tubular propane tanks converted into smokers. I’ve read on Daniel Vaughn’s BBQ Snob blog that they now employ a gas powered smoker to help with the chores on the weekend but I couldn’t tell where my meat was cooked. Like the joints formed from meat markets, you order and pay for your meat separately from the rest of your meal. While it is fun to experience it, it really isn’t that efficient. After paying (cash only) for the meat you move across the market and cut through the people in line for meat to reach the other line. At least it’s more linear and direct at Smitty’s and Kreuz. At the other counter you select sides, drinks, and any other options. There was no line at the second set of counters though so after grabbing some potato salad and beans I took a seat hoping the rain would die down. I ate my sides in solitude among the crowd. I first dipped my spoon into the ranch beans. They were warm, and even though I wasn’t very cold, they went down incredibly well in my wet state. They were so good that I even drank some of the broth. A very simple side, but done right. Next I tried the potato salad. With my first bite I again was really pleased. Plenty of mustard but mixed in well enough not to overpower the potato, and creamy while still having some chunkiness from the potatoes. After reviewing the potato salad I read that they purchase their potato salad. I still hold fast to my review of them, they were really good. 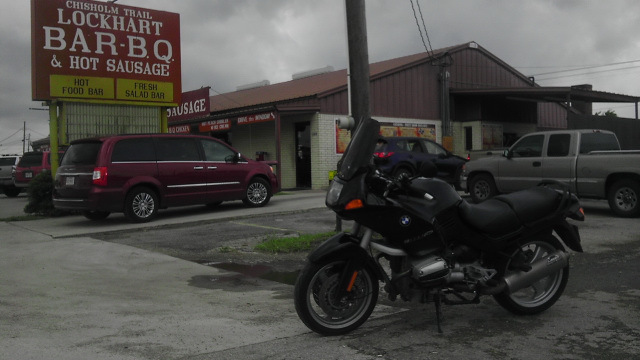 I slowly finished them off as I started to think about the ride from Luling into Lockhart, already soaking wet but excited on the prospect of the brisket and sausage I had tucked into a small insulated lunch bag. Just about the time I had bagged up my food I heard several booms of thunder. Riding in the rain is one thing, but riding in an electrical storm is very different. I checked the weather radar on my phone and saw that the worst was still to come, but that the sooner I left the better. I checked with Leslye and the kids and they were still about 20 minutes from Lockhart; it seemed liked the logistics would work out. I begrudgingly walked outside, put the lunch bag into my saddlebags, and climbed onto my wet motorcycle. The ride was very wet, but short, and the rain didn’t let up but remained mostly steady. I watched for any large puddles and rode in the spray of a couple of trucks trying to make the most of my ride. I thought to myself “hey, when we were kids we would go play IN the rain; this is the same thing.” Then I heard another clap of thunder, and I thought further “yeah the same thing just much more dangerous…” I wasn’t going to let the weather change my temperament as here I was about to arrive at the most important city in Texas BBQ history. I pulled into the parking lot of Kreuz about 15 minutes later and took refuge under the roof with my City Market food in tow. By the time I had removed my helmet and gloves, Leslye pulled in. I splayed out the food on the wooden decking and after the obligatory picture we dug in. The first thing we noticed was the smoke ring was light, and the bark wasn’t thick either. The meat was moist and the fat well rendered but there just wasn’t a lot of flavor. The bark was mild, not overly salty, peppery, or influenced by some other flavor. We were disappointed as it was our first meal from City Market and we had heard such good reviews. This was not bad barbecue by any means, but it wasn’t as good as we had expected. There will be another trip to City Market in the future as I just think this wasn’t their best example of brisket. The sausage was better. The smallish c-rings had a good snap, good course ground filler, and were nice and juicy. Very enjoyable and brightened up the overall experience but we had to pace ourselves for what would be 4 BBQ meals in one day. We were going to squeeze in an additional stop. Leslye had looked up and found good reviews for Billy’s Pit BBQ in Bastrop so the plan would be to eat there as late as possible. 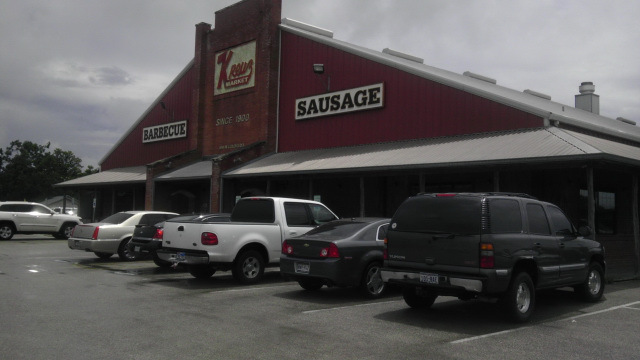 Kreuz moved into their new building in 1999, but the signage proudly states “Since 1900” based on the history of the business. When they renamed the original Kreuz to Smitty’s and moved the name down to this giant new building they also famously paraded some of the still burning embers down the street to the new location. The new location is huge, and everything about it is huge; multiple rows of smokers with multiple fires in a cavernous smoke room that reminds me of an 1800’s manufacturing facility, multiple meat counters with employees scurrying around, huge dining rooms, and huge wood stacks out back to keep everything smoking on time. This takes away from the ‘real’ feel that you get from the smaller joints like Black’s, Smitty’s, and City Market, and imparts a bit of an overly touristy disney-esque vibe. I almost expected there to be turnstiles. When you visit one of the top BBQ joints in Texas the lines will be peppered with travelers from around the world and many including me will have their camera in tow. That adds more to the feel that this is some faux restaurant at Disney or Universal Studios. There was a semi-truck trailer parked around the side at a large loading dock. That trailer was larger than some of the entire restaurant locations I’ve been to. But they couldn’t afford to have such a large operation if they didn’t crank out great food, right? In the past, the Jalapeno Cheese sausage from here was my favorite. We moved from the smoke room to the restaurant side and Leslye ordered our standard fare. The size of this place was really impressive. Kreuz offered up beautifully satin sheened meat with nice coloring but the fat wasn’t perfectly rendered and it took a tug on the meat for it to break off. Rather than fall apart easily you had to pull on it more than you really should for brisket of this caliber. Less than great I thought to myself. Sausage was good but even my previous favorite jalapeno cheese didn’t hold up to some of my more recent meals. The problem I have with Kreuz is that there are no forks and no sauce (although they had Pistol Pete’s hot sauce on the tables they make a big deal about not offering BBQ sauce.) I absolutely agree that sauce is not a REQUIREMENT for great BBQ and prefer to eat my brisket and sausage sauce less, and that the lack of forks is more historically accurate, but not giving someone the ability to eat their meal with a fork or plate doesn’t make the BBQ taste any better and conversely, using them does not make it any worse. They have dropped the “no salads” from their sign, which means they are breaking with some tradition. I just feel that it’s more of a gimmick these days. I am sure it is still “fun” on your first trip here, but I guess I’ve gotten a bit jaded over time. The meat didn’t fall apart like it has at many other establishments and that takes them down a bit on my scale. Chisholm Trail was one of two surprises on the trip. 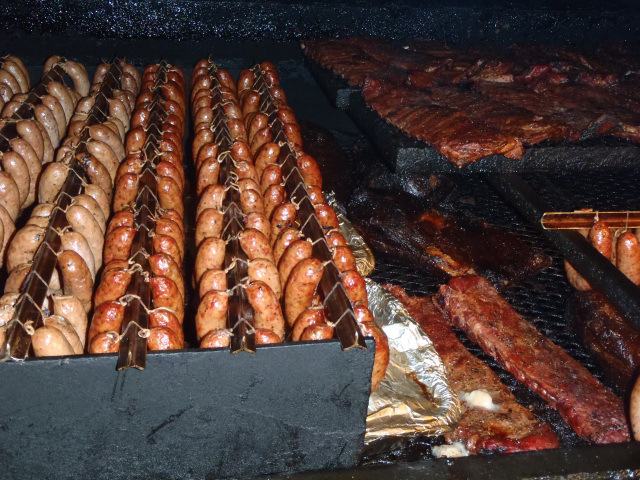 The red headed stepchild of the Lockhart barbecue giants, they are often overlooked. They do a lot of business via drive through and offer a lot of side options that you don’t normally see in a cafeteria style serving line, but what surprised me most was the value of the meal. Less than a buck for a large drink and under $7 for a two meat plate with not two, but three, sides was just a small example of what they offer. We chose the two meat plate to share with the four of us as this was our third stop of the day and we had one more on the agenda. The brisket had fat that was very well rendered and its meat was moist, tender and had more flavor than Kreuz or City Market. The bark though had a lot of salt and little else, it was a bit too salty for some of us but while I did like the hit it gave against the fat, it was excessive. Each bite of the crust I almost puckered. The sausage was mediocre with a bit of dryness and the sides unremarkable as well. If I lived nearby and ate a lot of BBQ I might stop here to save money, but for truly special BBQ I’d make another choice. It’s tough to compete with the big three here, and City Market is only a short drive down the road. 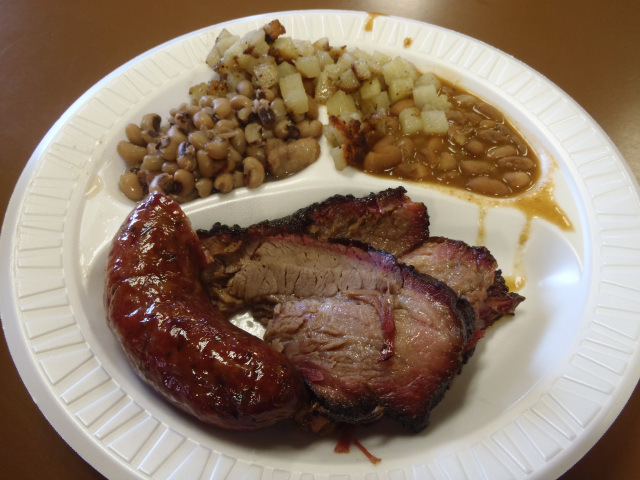 For the total meal and the experience of Texas BBQ I wouldn’t recommend them to a newbie, but Chisholm Trail served up better brisket that Kreuz and even City Market on this day. But brisket alone doesn’t make a meal and the rest of our plate didn’t stack up as well. The rain had stopped and the roads were damp but beginning to dry. We left Lockhart and checked into our hotel in Bastrop. Based on local recommendations that also supported Leslye’s research we decided to check in on Billy’s Pit BBQ. One thing that I would never recommend is stopping into a BBQ restaurant less than an hour before they close in the evening. Smoking great BBQ is difficult enough, but timing your food volume to coincide with the end of the day is much harder. It is much “easier” at locations where they smoke only enough so that they sell out before they close for the day. We would be at Billy’s around 6:15 and they closed at 7. I was concerned that we would be eating meat dried out from earlier in the day. However, we were in for a pleasant surprise. We walked into the small roadside building and headed to the counter. Animal heads were mounted on the wall along with signed remarks from a number of famous people; Earl Campbell, Robert Earl Keen, Hal Ketchum, and The Undertaker, and more. It is pretty common tradition but when the dining room is small these autographed photos can take up a lot of real estate on the walls. One thing I would note later, there was also an Earl Campbell photo at Black’s. I didn’t check closely at Kreuz or Smitty’s but I guess he gets around. He also has his own brand of sausage in grocery stores. http://www.earlcampbellmeatproducts.com/. 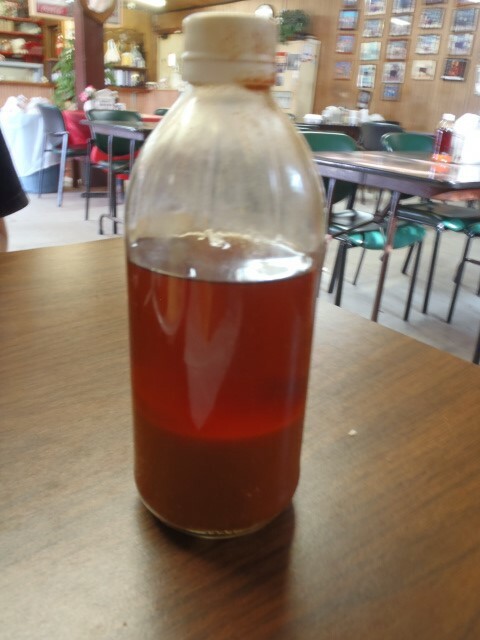 The smallish dining room was set up with vinegar based BBQ sauce sitting on picnic tables. We asked for fatty brisket with our two meat plate and we were given a lot of fat in that brisket. That was the only downside, that there was more fat than expected. The brisket itself was moist and fell apart nicely, with well rendered fat. The bark was not overly salty like Chisholm Trail. The sausage was good, with a soft snap. In talking with the employees, they said they make the sausage and it was all beef. That may have been what I liked about it, nothing fancy just good simple sausage. Our sides were good. Not spectacular but better than all but Luling on this day. The employees were very nice as well. 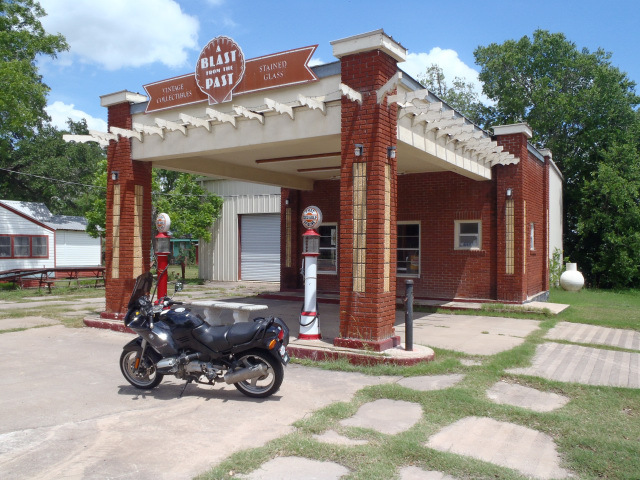 If you’re passing through Bastrop I’d recommend a stop here, or if you have any extra room left during a Lockhart trip. We had reserved the following day for our past perennial personal favorite, Black’s, and also Smitty’s which was somewhat controversially removed from the Texas Monthly top 50. While I believe this move was heavily influenced by Daniel Vaughn’s recent ascension to their official “BBQ Editor” position, similar remarks had come from other BBQ bloggers as well. Black’s has a varied review base. Many bloggers like it, but I think the cafeteria style turns off some people who are looking for what they feel is a more authentic experience. Black’s has been around since 1938 and that’s plenty authentic for me. They also give you forks. And Sauce. And Plates. I had expected to wind down the evening and enjoy a meal and microbrew at the Bastrop Brew house, but plans were delayed slightly when I found a screw in my rear tire when returning from Billy’s. Unfortunately my BMW repair kit was lacking plugs and plug tools. It did contain Co2 cartridges, a wonky looking adapter for them, and glue but it wasn’t enough to plug the tire. I should have prepared better, the BMW that I sold had a complete kit and one should always consider carrying one for rides of any distance. Co2 cartridges can be purchased for well under $2 a pop via eBay when buying in bulk. I recommend a better adapter than what is in the standard BMW toolkit though. There are a number of options originally designed for bicycles but just remember to make sure you get one that is compatible with “Schrader” type air valves as those are the standard for cars and motorcycles. Higher end (non super-store) street bicycles use “Presta” type valves which are much thinner than Schrader. Also I highly recommend getting one where the Co2 cartridge is inserted in a protective casing so that your hand is not touching the bare cartridge. When releasing Co2, the cartridge will freeze over and your hand can actually stick to the cartridge making for a painful experience. Also – test and use the system BEFORE you are sitting on the side of the road trying to figure it out. When watching people try to air up the tubes on their bicycle I’ve seen them waste cartridges and then have to borrow from other riders. One last point to remember, a tire filled with Co2 will leak over time. You will need to fill with standard air when back at home. It was too late to find a bike shop, and I figured they would be closed for the next two days so we took the Jeep to an auto parts store and bought a tire plug kit. 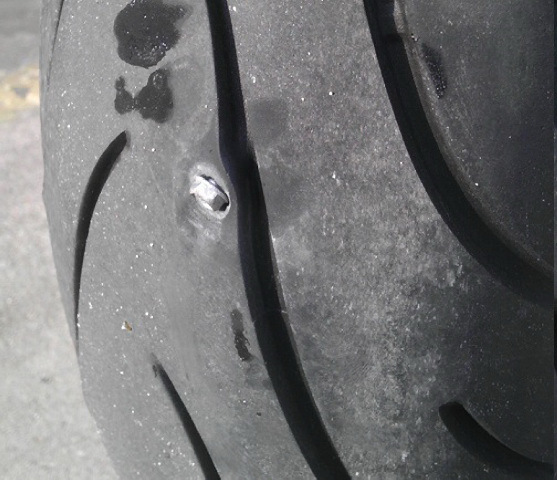 Plugging a motorcycle tire should only be a VERY temporary fix and one should be familiar with plugging before attempting. A plug can pop out, or fail to seal correctly and severe injury can occur. I plugged up the tire and we headed out to Bastrop Brew house. When we returned I checked on the tire and it appeared there was no leaking so I was comfortable enough to continue on our journey the following day. We would change plans slightly so that Leslye was not riding as passenger though just in case. Most visitors will enter the building through the back rather than the front. Hwy 183 passes through town on the backside of Smitty’s and the large gravel parking lot and sign atop the smokestack are like a beacon to BBQ lovers. The front entrance though is the original entryway and I chose to park the bike on the more stable asphalt and enter as if it was 100 years prior. The first thing most people will identify if they enter from the back is the fire on the cement. A small area is dug down a little but you walk right past the edge of the fire. This isn’t a building or process drafted in the age of heavy litigation and easy access. Watching your step means staring into that fire though, and then raising your site to the smokers. Those same smokers were burning back when my parents brought me to Lockhart. The next thing you might notice is the accumulation of soot on the walls. Then movement catches the edge of your eye and your gaze shifts to the cutting stations. If you haven’t moved in line yet you might get a surly look, if not from the cutters then from others in line who want to shuffle past the heat emanating from the fire. You might be at the counter before you’ve decided on your meat, especially if you are new to the process. You will feel pressured to make a choice quickly. I watched people who over-ordered and seemed confused. The process here was no different than Kreuz, Franklin, or many others but it just seemed rushed. 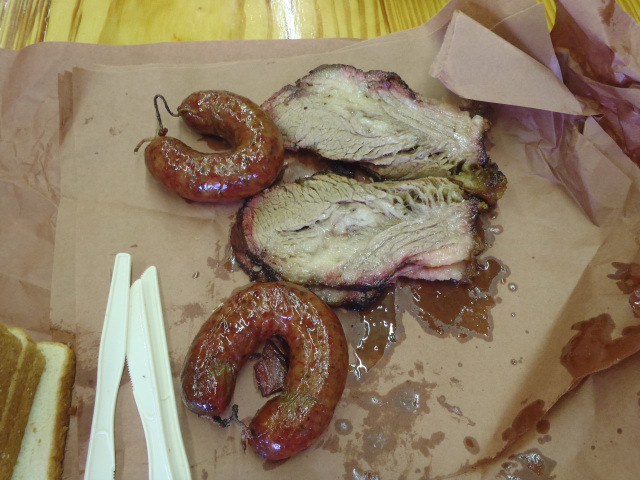 We knew exactly what we wanted though and got our fatty brisket and two links right away. The brisket wasn’t as bad as some people have been claiming but was tougher than it should be and did not fall apart at all. Even the fatty pieces we ordered required a solid tug before separating. It wasn’t top 20, but I’m not sure I would consider it out of the top 50. Smitty’s sausage was really good and juicy. It had a decent snap and was cooked well. Those who like their sausage “less greasy” though might find it overkill but I have begun to prefer this style over dryer options. It reminded me of Luling and Louie Mueller’s sausage. We ordered only meat here. 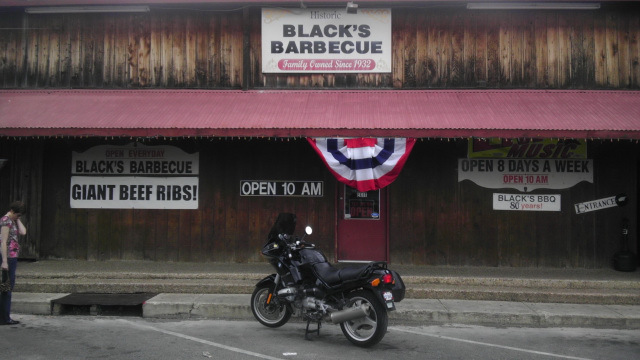 Black’s is nothing like Smitty’s or Kreuz and is more similar to Chisholm Trail than the other classics. This also turns some people off on Black’s and I think many reviews are biased purely on the serving style. Black’s uses cafeteria style service and your meat is the last option in line, rather than selecting your meat first in a smokehouse. When enter the building you first are funneled down a short narrow hallway. Make sure to look at some of the history of Black’s on the wall. At the end of the hallway you pick a tray and empty container and then slide down and pick your sides. I was taking a picture of this and a nice lady told me that if I would like a tour, just ask down at the end. I was surprised by the offer at 11am on Sunday right at the beginning of their lunch rush. You will make a 90 degree turn after getting your sides and face the original pits which are now used to keep fully cooked meat warm and ready. The cutter will cut your meat on the original wood block tables, at least until they are worn out to the point of replacement. After paying you can choose one of the indoor tables or sit in the shade outside. In my opinion the size of the restaurant is not too small, and not too large. Like Goldilocks, I find it just right. The staff was very friendly and we felt welcome as we went through the ordering process. In my last visit, Edgar himself visited and I was able to get my picture with him. Shawn was hankering for a giant beef rib all weekend and he was rewarded here. His last one was at Louie Mueller on the Saturday prior to Easter so the bar was set very high. We proudly hoisted the rib and took some pictures. Like Mueller, a single rib was well over a pound. Taking in the view of the rest of the meal, the brisket had a nice char and clearly visible smoke ring around nearly the entire circumference of our slices. Wyatt chose mashed potatoes and macaroni and cheese as his sides, while we opted for the standard potato salad and beans. Shawn was focused on his rib and had no sides. 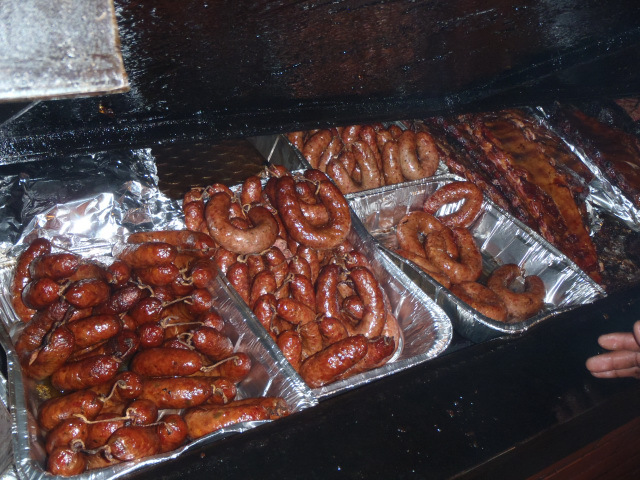 Between us we had all four sausage options; regular, garlic, Shiner Bock, and jalapeno cheese. The brisket was good. Some of ours was from the leaner side and we did feel it was a little dry, but the fattier pieces on our plate as well as all of the slices on Wyatt’s were good. However there was no tingle effect and no giggling. It didn’t beat Louie Mueller, Franklin, or even Opie’s based on our recent visits. It did beat Kreuz, Smitty’s, Chisholm Trail, and even City Market this trip, but not by a large margin. Shawn began munching on his rib and I snuck a couple of pieces. It was great, had a nice bark, a solid smoke line and was flavorful. It was slightly better than the one we had at Opie’s, but Louie Mueller’s was elite, while this was “just” great. The sausage unfortunately was not as good as we hoped. All four varieties were drier than I prefer. I had high hopes for the Shiner, but it and the garlic didn’t have as much of a punch as I wanted and did not stand out from the regular enough to truly warrant the additional option. In my opinion, I was expecting a significant flavor from the Shiner beer but it was only a mild difference from regular. This could be their intention but it wasn’t what I was expecting. The jalapeno cheese lacked, well, cheesiness. I don’t like large overpowering chunks of cheese like Kickin’ Ash, but I do want to taste the cheese as a separate flavor from the meat. Our sides were not stand outs, but served their purpose. I will come back to Black’s, but had to step down just a little from my platform touting them as the best brisket in Texas. As we made it to toward the end of our meal, I wandered back to side of the cash registers to snap a few more pictures. The lady who spoke to me before regarding the tour came and asked me again if I would like one. I felt like I was intruding, but she said it would be no problem at all. After a very brief wait, Johnny the Beef Rib King (hey it said it on his apron, and he was the one who sliced our rib) ushered me behind the counter. I learned about the original pits, still functional and holding up well but being used as a warming station. Those cutting blocks are the original ones. Large waves form in them from all the use, and occasionally they have to plane them down a little to smooth them up but they are careful not to take off too much. I glanced at the prepped sides and then we walked back to the working pits. These were stuffed inch to inch with meat and working hard for the day’s requirements. We discussed the difficulties of maintaining the cooking order throughout the day, as we did they ran out of ribs ready to be sliced. They had plenty that would be ready soon, but wisely don’t rush the food purely to make a sale. They do however alter the pit’s working temperatures to try to best maintain the pace with the orders. They also use no thermometers on the pits. This reminded me of Snow’s, whose newest pit has numerous thermometers across the length. Both methods work well in the hands of experienced pit masters and I myself have no preference as long as the meat is done properly. Black’s also uses a bit unconventional cooking method for their briskets, somewhat similar to Salt Lick but I do not place them anywhere close to each other in quality. After smoking for up to 8 hours, Black’s sets the briskets into large refrigerators. Johnny told me this stabilizes the meat and helps keep them moist. Later they finish them off in the smokers. I wasn’t rushed out of the kitchen and was allowed to chat even while the lunch rush was going on in sight of us. I wasn’t in the way, but knew I should let them do what they do best so I took a few more pictures and made my way to the exit. I was really happy to feel this welcomed and to be given the hospitability that they gave me. I had similar experiences at Snow’s and Opie’s, and while I can’t give bonus points purely for my personal experience this is what Texas BBQ is all about. For a few moments at each of these places I felt like family and had a special connection. Even though it was for such a short time at each location it is something I won’t forget. What does this mean? Well first, everyone should realize that brisket is a fickle cut. Quality can vary, both in the raw meat and the finished product. Sausage also varies as well. When selecting the beef to be used, the fat content changes with each selection of meat so the amounts used for other ingredients can also vary. If you use the exact same portions each batch, some days the sausage will contain more fat and juice and others it will be drier. In short, this means that one should never judge a BBQ joint on a single visit. For me, this also means that comparing the same joints in the same day is still not enough. 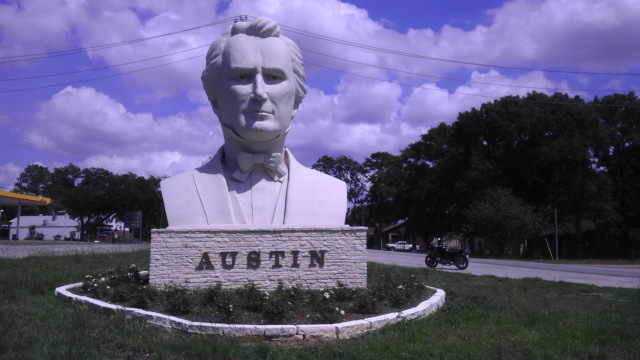 I’ll just have to continue to come back to Lockhart and Austin as part of my travels and build up a solid review base to compare. With Leslye remaining in the Jeep for the ride back due to the plugged tire, my designed route would be lonely. I continue to push myself, not to push myself. My choice of roads would keep me on two lane asphalt blacktop for much of the route and I would force myself to stop when I saw something I thought was interesting. The roads were dry, the sky was blue, and I was going to enjoy the cruise. I left Lockhart on FM 20 and turned east onto FM 713 not far outside of town. This was classic Texas back roads and I was really enjoying the ride. I crossed over SH 304 in Delhi, Texas and waved at a couple of motorcycles that were checking their maps. I was having a good time when the road turned from asphalt to loose asphalt, to some black tar with light gravel. I slowed to a halt and looked down at the directions I had taped to my gas tank. I had overshot my turn by a little more than five miles. I was having so much fun I blew right past my turn. I headed back to SH 304, sheepishly waving to those same motorcyclists I saw earlier, but who were now underway. 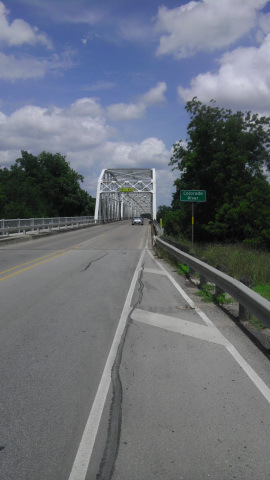 Taking SH 304 up to FM 535 I then headed towards Smithville. I made a small mistake in Smithville but quickly corrected myself. The next stretch was on Hwy 71 but the ride was broken up with a quick photo up. There is a business selling used bridges by the side of the road. At first I wondered who on earth would want a used bridge, but there are many ranches and farms in Texas where small creeks pass through. These would save a lot of time and effort compared to trying to accomplish the job yourself. 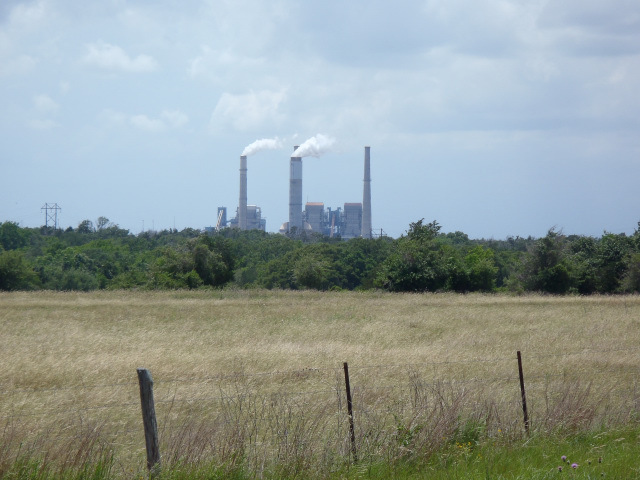 I took the business route through La Grange and then rode FM159 around the Fayetteville power project. This is a coal burning facility and like most, has a public lake used for cooling. I saw a few boats on trailers heading west towards the lake as I made my way eastward. I made two stops between here and Bellville to read historical markers. I didn’t take good notes, but one documented one of the first Czech settlers. From the other marker the fact I remember was that the husband and wife had 14 children, 8 of which grew to adulthood. It reminded me of how hard times were on early settlers. They needed a large family to help out, but at the same times they lacked the access to health care and medicine that we have today. Compared to what it was like then, our lives are so easy. I’ve seen the one-room school that president LBJ attended and it still amazes me what trials and tribulations they encountered only one or two generations removed from my own. In Bellville I lingered at a convenience store and savored a Dr. Pepper flavored Icee. The heat-out clothing and cool sleeves worked extremely well in the heat but there was no problem with relaxing my pace. I topped up the fuel tank and rode off. I passed through Hempstead then took a very familiar FM 1488 into Magnolia. Back home in Tomball I unpacked with remnants of visits to six BBQ joints and various stops rolling around in my head. Cue a rama 1.5 was complete and it was time to begin planning our next multi stop trip. 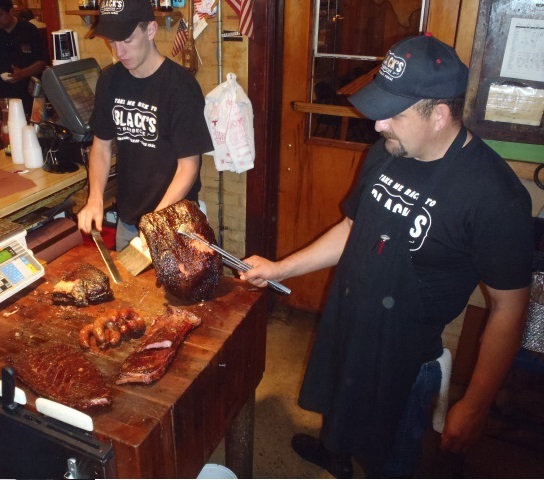 Tags: Billy's, Black's, Chisholm Trail, Kreuz, Luling City Market, Smitty's.